A strong immune system will help your body naturally fight off a number of routine illnesses such as colds and flu, reducing the severity and duration of the illness. 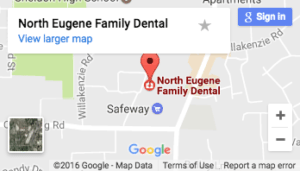 As Eugene Family dental care provider, our staff at North Eugene Family Dental wants all of our patients to enjoy the very best health possible. Not only can a strong immune system help to fight off a cold, it can also help to limit the effectiveness of oral bacteria that contributes to gum disease and tooth decay. When plaque – a sticky biofilm comprised of harmful bacteria – uses the foods we eat to produce a harmful substance that slowly erodes away at tooth enamel. Over time, these plaque acids can cause inflammation and swelling that can lead to gingivitis, periodontitis and eventual tooth loss. By promoting a health immune system, you can limit the damage inflammation can cause to your long-term oral health. To help strengthen and improve your immune system try utilizing these tips. While stress does play an important role in preparing the body for challenges, such as taking an important exam or giving a presentation, too much stress can be bad for your overall health. Several recent studies have found that individuals who deal with high levels of stress suffer from weakened immune systems and more frequent illnesses. Stress can also negatively impact your oral health, as it increases your risk for teeth grinding, jaw clenching and TMJ disorders. To keep your immune system functioning properly, it’s important that you avoid stressors and find the time to relax whenever possible. Take the time to enjoy favorite activities and pastimes so you can remain refreshed and feeling healthy. In addition to offering companionship, affection, and a reason to take a walk around the block, owning a pet can also improve your health. Studies have shown that pet owners enjoy lower blood pressure levels, reduced cholesterol, and improved heart health. One study even showed that owning a dog can help improve the development of a child’s immune system and may reduce the number of allergies from which a child suffers. An active social life offers many benefits to not only your mental health, but to your physical health as well. A study conducted by researchers at Melbourne University found that seniors who maintain strong social relationships lived an average of 10 years longer than seniors who had few social ties. Try broadening your social connections by joining groups with common interests, volunteering, or taking a classes like cooking or sowing. The power of positive thinking can actually have a profound effect on your immune system, according to researchers. A study of law students found that when they exhibited more optimism about their course work, they experienced stronger immune systems. To help improve your outlook, take time to savor the activities you enjoy, always look for the silver lining during difficult times, and try never to dwell on the negative. Enjoying a good chuckle from time-to-time may help to boost your immune system. Examining data from several studies linking laughter to immune system function, researchers found that individuals who audibly laughed at humorous cartoons and videos enjoyed better immune system function immediately after. While more research is needed to determine whether laughter can really help to prevent illness, laughing more can certainly help reduce the effects of stress. Numerous studies have shown that the more antioxidants you consume as part of your diet, the stronger your immune system will become. Antioxidants help to protect cells in the body from free radicals, which can otherwise damage cell integrity. To ensure your body gets a diverse range of antioxidants, make sure to eat vegetables and fruits in a variety of vibrant colors, as the compounds that provide these foods their color also contribute antioxidants to your diet. Just as your body needs plenty of antioxidants to remain healthy and strong, you also need to get enough vitamins in your diet. If you feel that your diet doesn’t quite provide you with all of the vitamins you need, try adding a multivitamin to your morning ritual to ensure your body receives all the nutrients it needs to maintain a healthy immune system. As your Eugene family dental care provider, we hope you enjoy these tips and that you and your family good health for the rest of the year.